After losing to Wisconsin 73-63 in the Big Ten tournament, the Ohio State women’s basketball team finished the season with a 14-14 record. As a result, Ohio State failed to qualify for the women’s NCAA tournament. 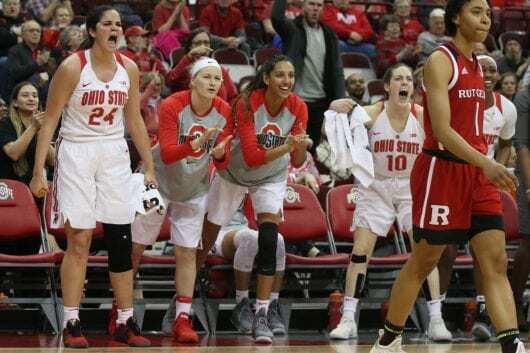 Instead, being the highest-ranked Big Ten seed to not reach the big dance, the Buckeyes earned an automatic bid to the women’s NIT tournament, where they will take on Morehead State. History favors Ohio State in both this game and the entire tournament. This will be the second appearance for the Buckeyes in the WNIT. Their only other appearance was in 2001, when Ohio State won it all, taking down New Mexico 62-61. The past two WNITs were won by two other Big Ten schools, with Indiana winning in the previous season and Michigan in 2017. Morehead State (23-10, 13-5 Ohio Valley). 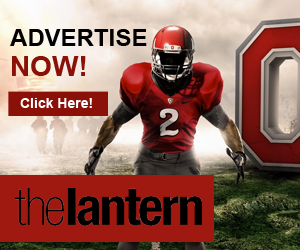 Ohio State’s biggest concern will be finding ways to become consistent. Heading into the final few games of the season, the Buckeyes were riding a four-game winning streak that featured wins against Rutgers, a team that made the NCAA tournament, and two wins against Wisconsin. 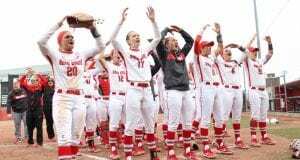 During its final regular season game and its matchup against the Badgers in the Big Ten tournament, Ohio State unraveled late. The Buckeyes recorded 30 turnovers, allowing the Scarlet Knights to come back in the second half. 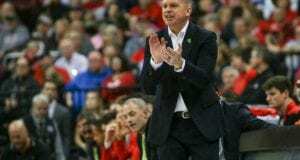 Against Wisconsin, the Buckeyes were unable to find the basket and the Badgers thrived from 3. If Ohio State wants to bounce back and have a chance at winning, it will need to find a way to control the game in the second half. For Morehead State, the main threats the Buckeyes will have to watch out for are senior guard Miranda Crockett and redshirt senior forward McKenzie Calvert. Both are averaging double digits in points for the season and, with three players from the Eagles’ starting five having more than 100 assists on the season, plenty of playmakers will be on the court in Columbus Wednesday night. In addition, Simmons-Cozar is the Eagles’ biggest threat from the 3-point line. She is shooting 36 percent from deep on 72 attempts. 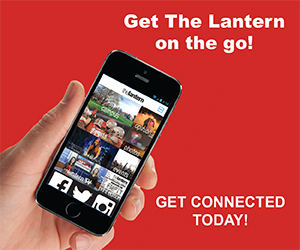 Being the better seed, the Buckeyes do have the advantage of playing at the Schottenstein Center. 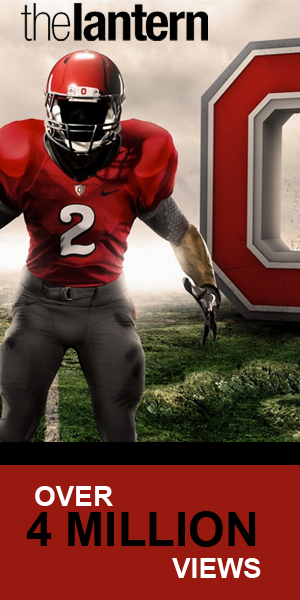 Over the season, Ohio State holds a 9-5 home record. Ohio State will take on Morehead State at 7:00 p.m. Thursday at the Schottenstein Center. Why they keep Kevin McGuff as a Coach does not make any logical sense. When he has a great team, like last year, they fail early in the tournament. When he has a good team with very good players, like this year, he can’t even get a win at home vs Morehead State. How many games and tournaments and seasons can he underperform before Gene finally figures it out. He fired Thad when Thad had many great years. But, Gene doesn’t face facts on Kevin because he hired him. There will be more excuses. I’m sure that many will disagree, but, one can’t disagree that Kevin’s results are way below Ohio State expectations. I totally agree with you, I wasn’t never too excited about him replacing Foster in the first place. Yeah fosters very last season was terrible but they did at least make the ncaa tournaments. This season has many similarities to that season. Not to mention have you noticed every year that we have lost an assistant the team takes a hit. When we lost joy to Vanderbilt our recruiting took a major hit. Then as i suspected when kelsy graduated her dad left .